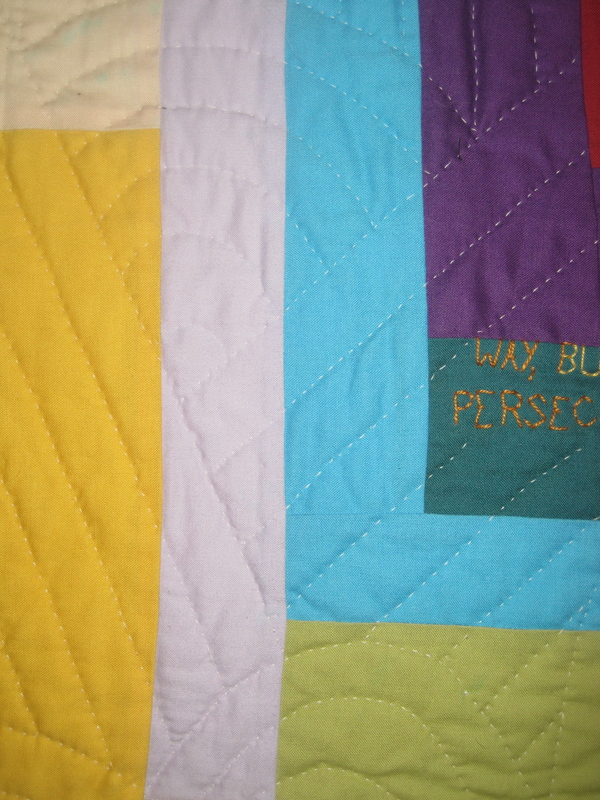 Well, back when I started this blog, I talked about a challenge using solid colored fabrics, and then how I came up with an idea for “housetop quilts.” I loved that idea so much that I’ve been working non-stop on those quilts ever since, and haven’t stopped long enough to write a blog about them! 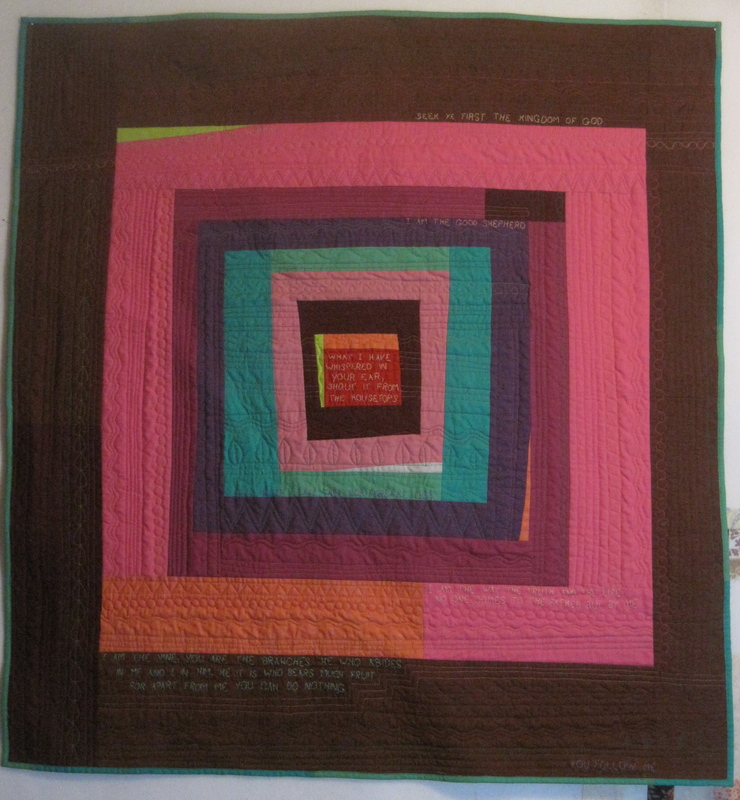 I took Liz’s advice and checked out Gwen Marston’s website. 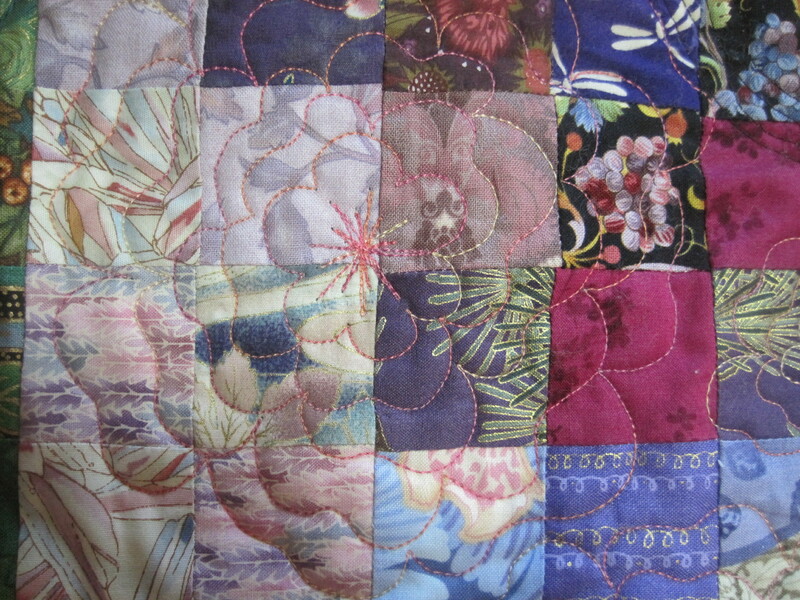 this quilt is all machine quilted, but I used some of Gwen’s ideas about quilting motifs. 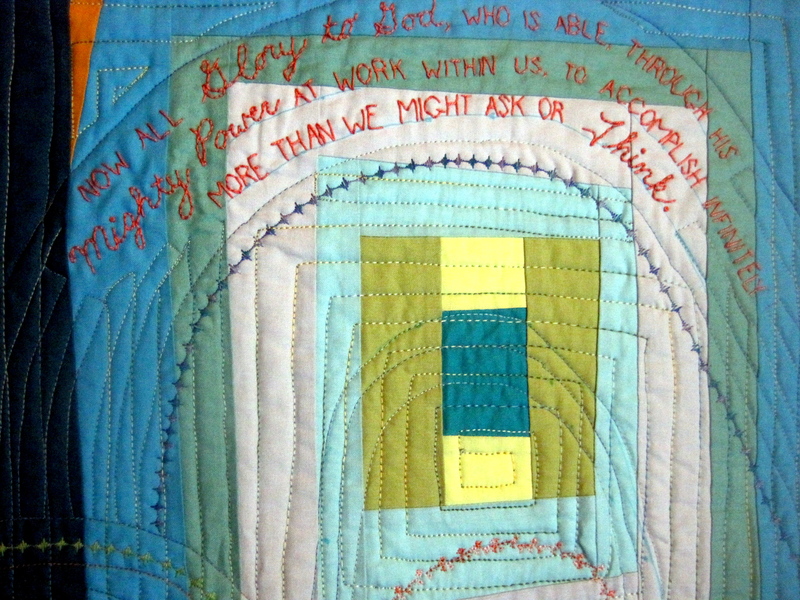 I took Juice’s advice and put the original inspiring verse in the center square. 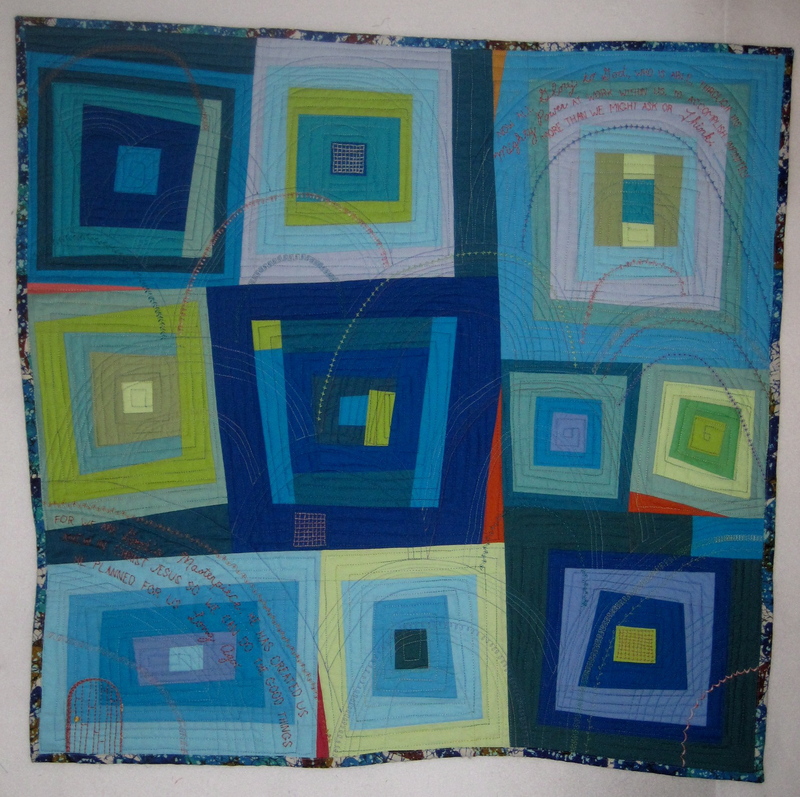 This quilt was inspired by a beautiful painting done in Haiti. 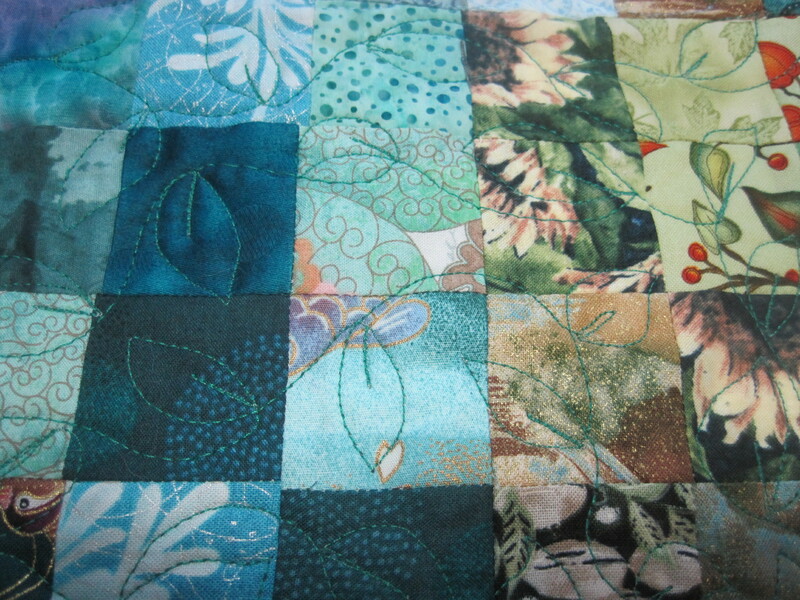 It is nothing like the real picture, but I used some of the colors and the ideas of repetition of pattern for it. 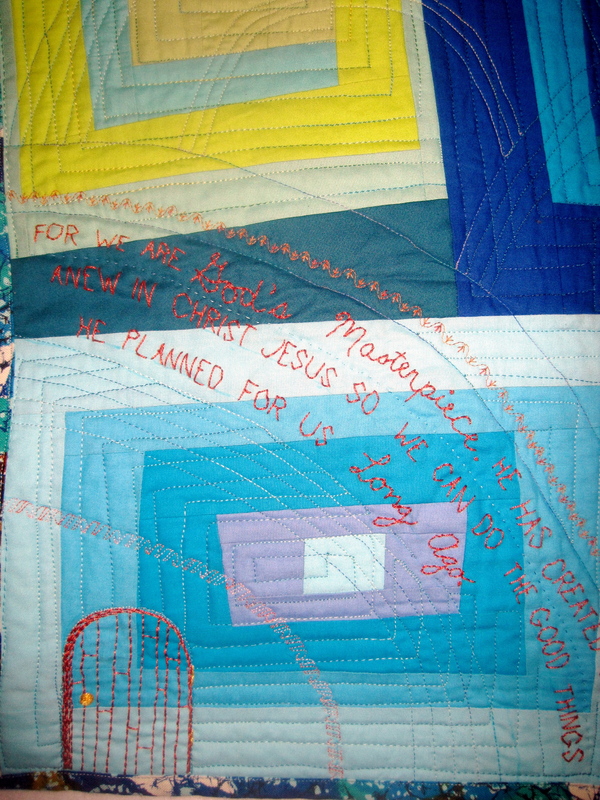 Two of the verses that are very meaningful to Wendy and I (we have a project to provide sponsors for the children of Carrefour Poy, Haiti,) are included in this quilt. 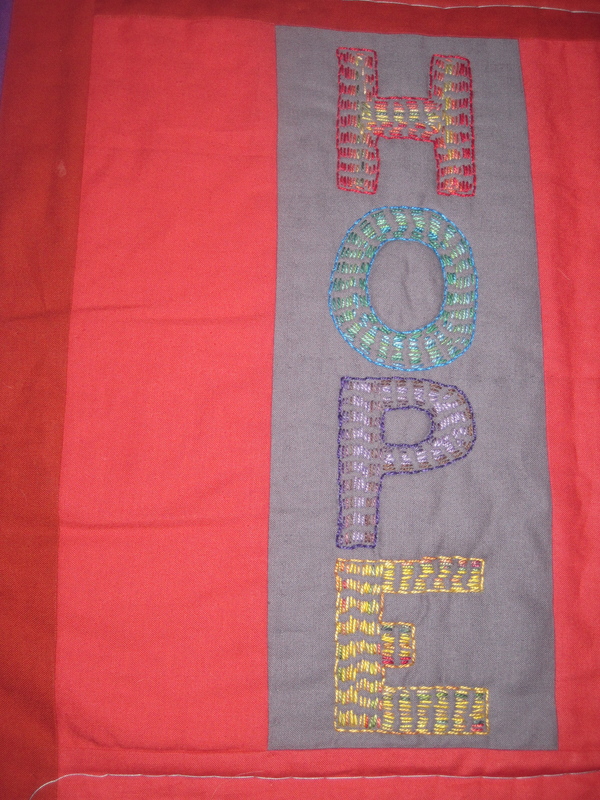 I used some fancy machine stitches and embellished with some perle cotton. 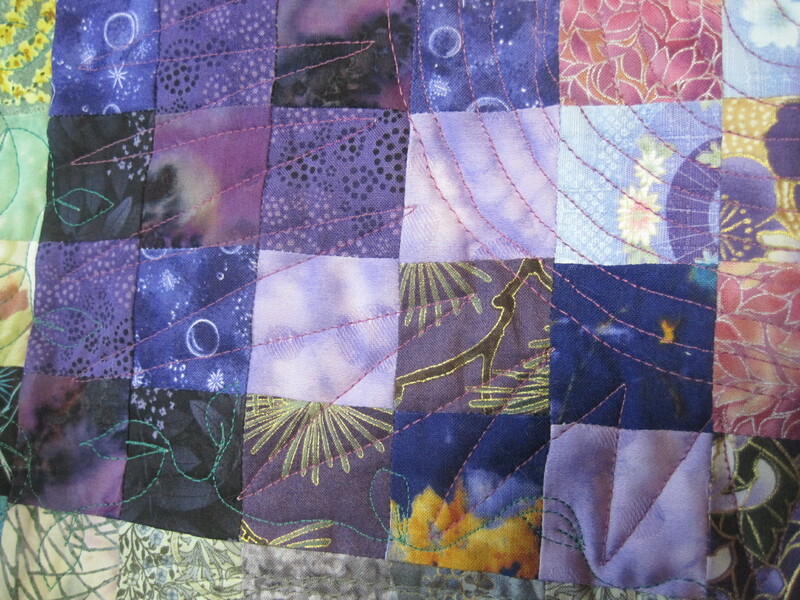 I’m not quite finished embellishing. I AM. 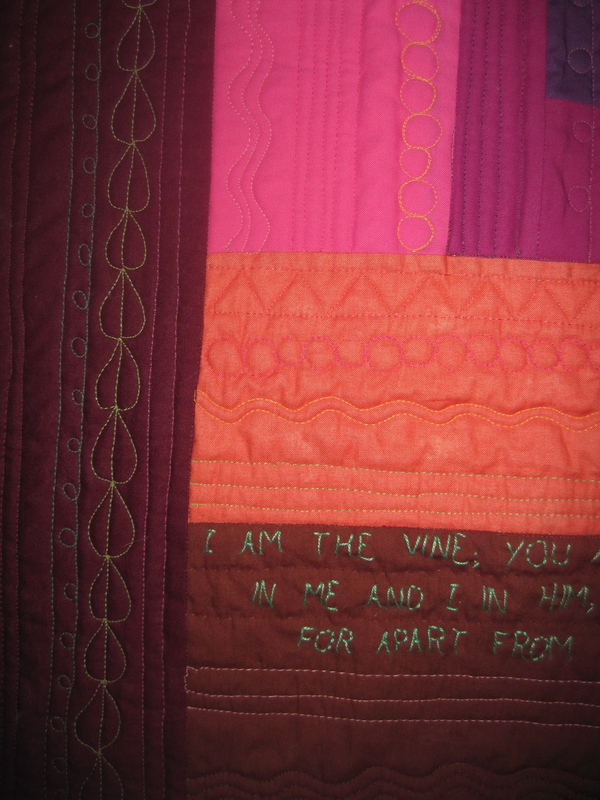 I am the Alpha and Omega. The Beginning and the End. The First and the Last. The one who is, and was, and is to come. I AM he. 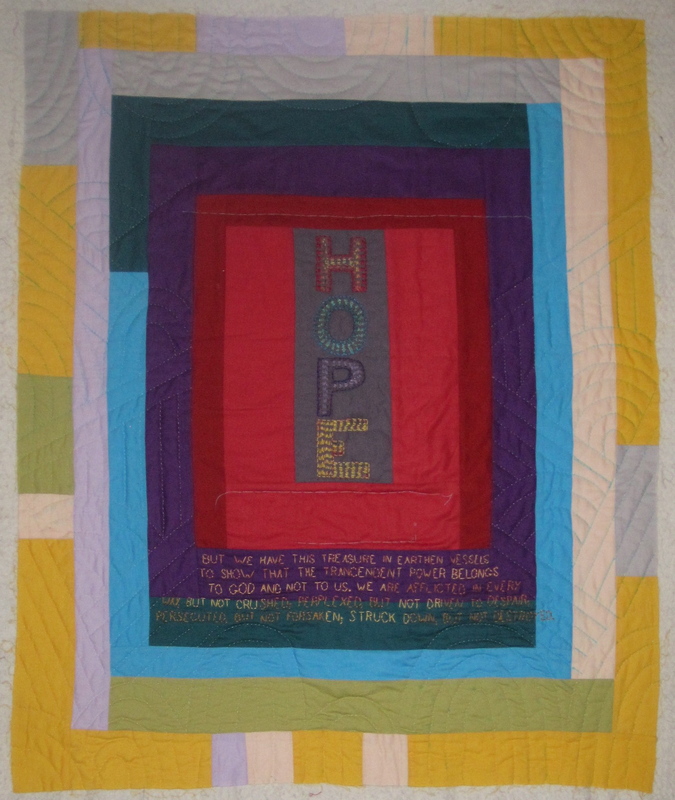 This quilt, with its dark center and the bright outer borders, reminded me that there is always hope, even in our darkest hours. 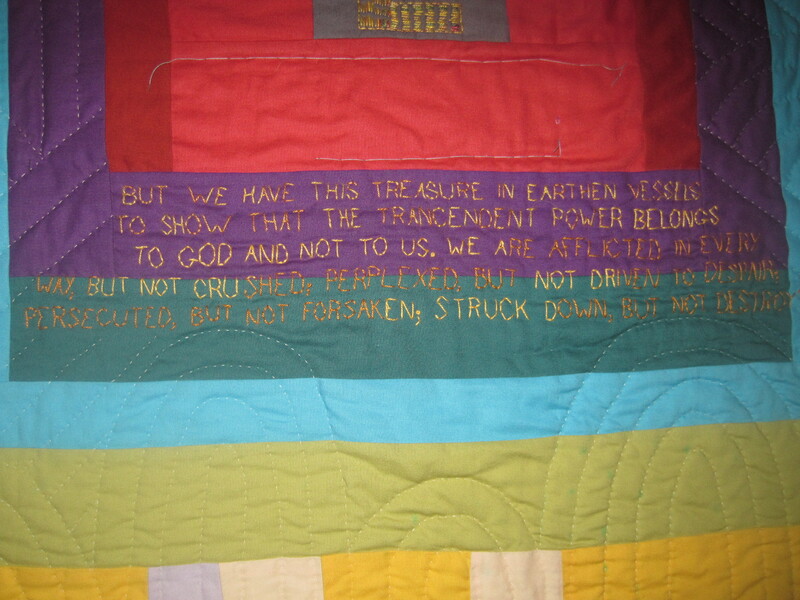 The verse that is included is one that provided hope to me, and then to my dad, during some dark times. 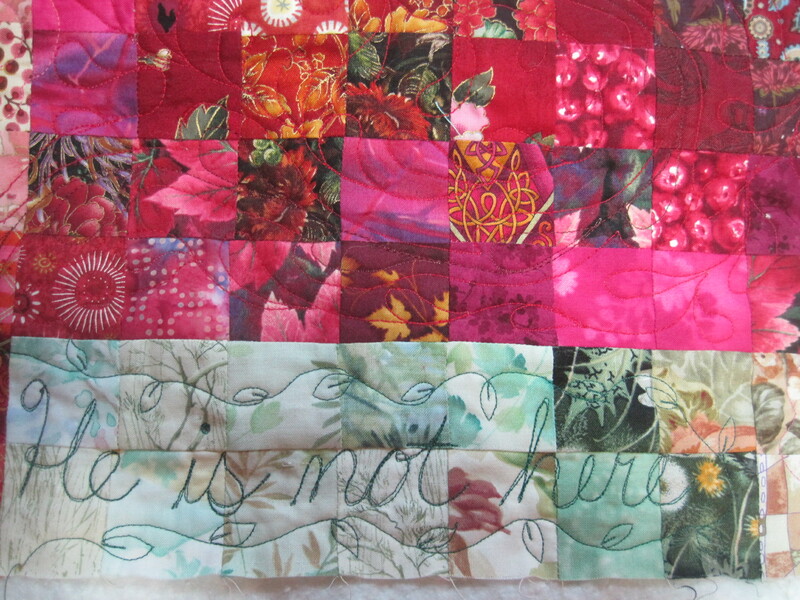 I am hand quilting this one, so you can still see some of the blue pen lines and the basting threads. And now I must get off to bed. 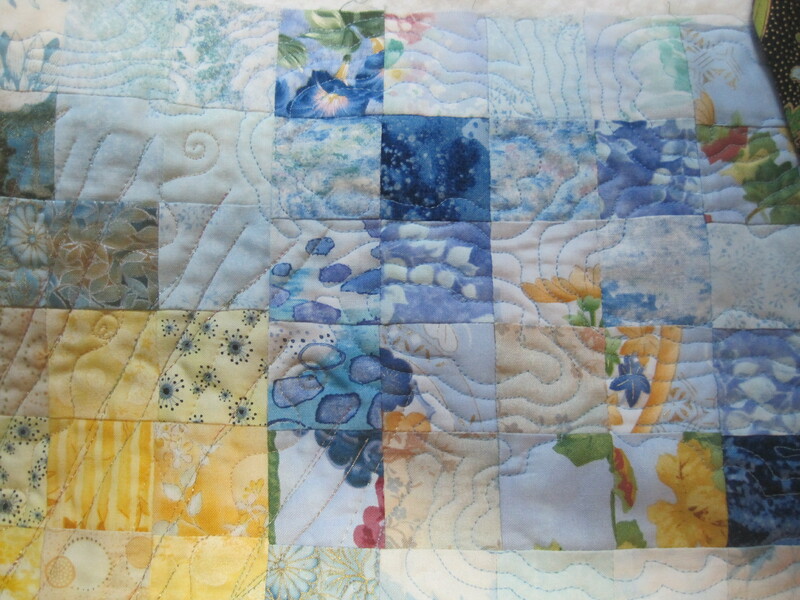 I am leaving early tomorrow morning for the Paducah Quilt show!! 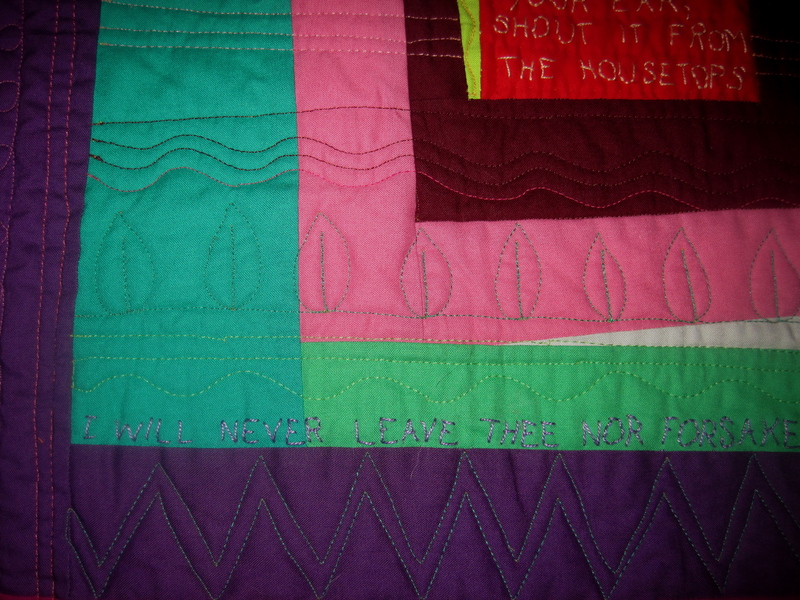 Thought I’d share a little quilt I made last year, along with the thought process that went into it. 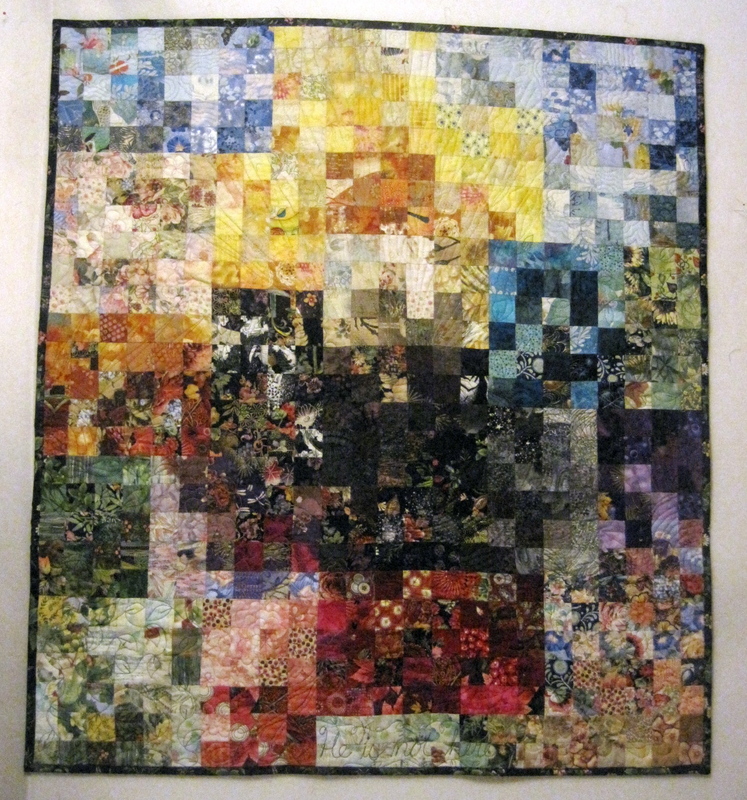 It started out just as a fun color study, making various sized blocks of color out of my little pre-cut 2 inch squares. 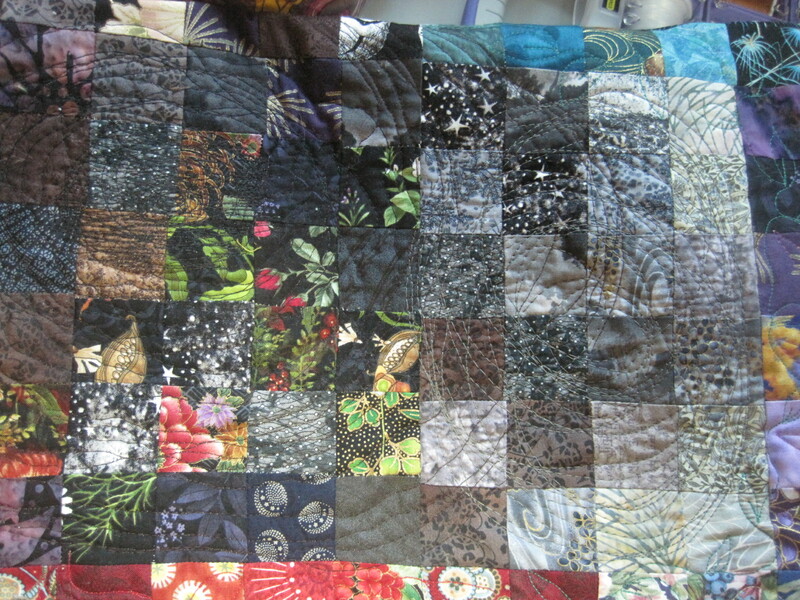 As I arranged the blocks on my design wall, I thought that it started to look like the open tomb. 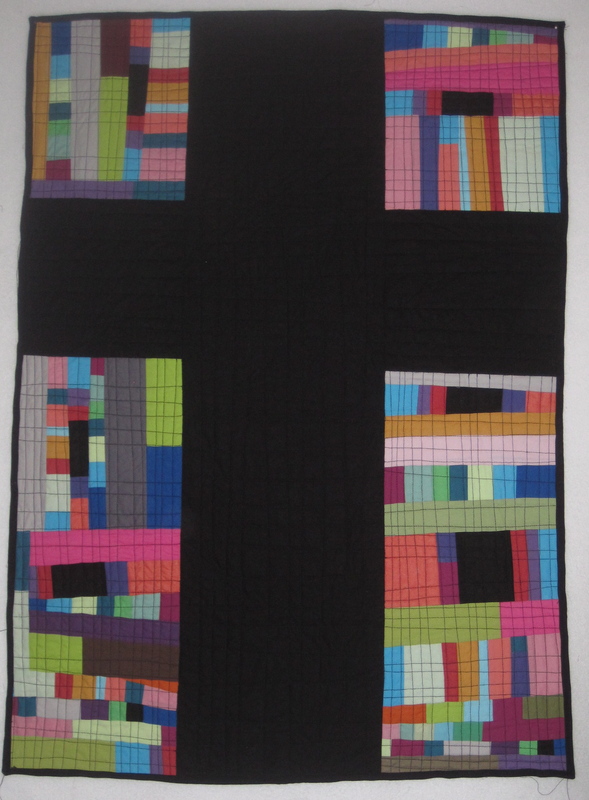 So then I purposely started to include certain colors and images that went along with Jesus’ last days on earth.